The San Jose Blog: Latest from Bay Area Die Hard Co.
Latest from Bay Area Die Hard Co. Check out the latest news about San Jose-based Bay Are Die Hard Co. in the release below. 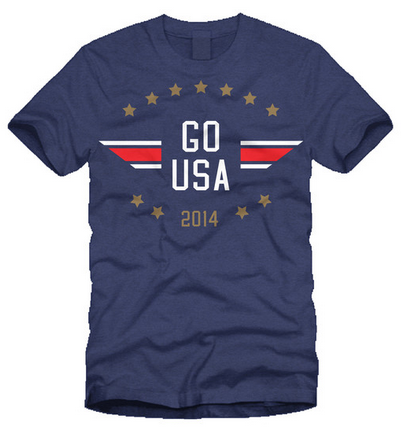 They also just launched a limited edition line for the US team at Sochi (use the promo code "GO USA" for a 20% discount, click here to see the options). SAN JOSE, Calif., — Since 2010, local clothing company, Die Hard Co. has been providing Bay Area sports fans apparel, including t-shirts, sweaters and hats, to wear proudly when cheering on their favorite team. Their tagline “Sport Your Colors” is the foundation for their brand as they strictly cater to the loyal fans of the seven professional sports teams in the San Francisco Bay Area. “We represent the die hard fans. We want them to be able to represent their team at anytime, giving them an alternative from the logos,” said Adam Mayberry, co-creator of DieHard Co. In the spring of 2010, brothers Adam and Ben Mayberry wanted to create a line of clothing that reflected their passion for Bay Area sports while incorporating their skills as designers—Adam in architecture and Ben a graphic designer. Their first design, “Big Time Timmy Jim” was inspired by the 2010 ESPN commercial with Tim Lincecum and was a hit that following fall when the Giants won the World Series. 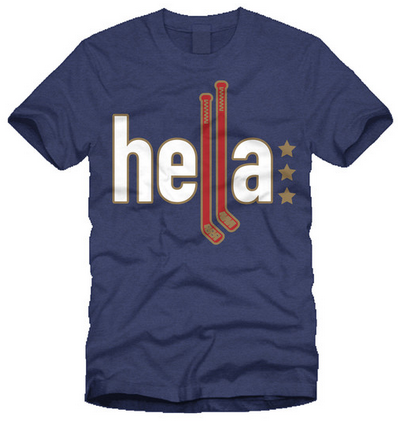 Now with thirty designs to choose from in their online store—including their best-selling “Hella,” “Fin City” and “I Survived the Stick” t-shirts—Die Hard Co. continues to grow, garnering a vast following of fans on their social media platforms. One special fan of the brand, Alex Boone, offensive guard of the San Francisco 49ers, took interest in DieHard Co. and asked the Mayberry brothers to create a design that represented Boone’s moniker, “The Rhino” during the 2013 Super Bowl. It has been seen on Boone as well as on defensive end, Justin Smith and is among their product list to choose from on their website. Amid last Sunday’s when against the Carolina Panthers, Boone announced on his Instagram profile that he will be donating the proceeds made from DieHard’s “The Rhino” t-shirt towards the San Francisco Zoo. Die Hard Co. has been awarded the Creative Industries Incentive Fund grant through The City of San Jose Office of Cultural Affairs and the Center for Cultural Innovation. The money received from this grant will allow them to fund part of the budget needed to manufacture shirts at a higher quality to the exact specifications of Die Hard fans—color, material, size and branding will all be upgraded. The additional funding needed will come from a KickStarter campaign in late February to match the money from the grant. The project will allow Die Hard Co. to bypass buying premade shirts from a distributor which has set colors and materials that are mostly made overseas. The new line will be Made in the USA. With these future projects lined up, Die Hard Company will continue to grow as a brand and provide fans unique ways to Sport Their Colors no matter what they are doing.